Want to be So Healthy? Interesting, intelligent, and straight-up awesome articles delivered directly to your email inbox. I'm Strong to the Finich, Cause I Eat Me Spinach! An Apple A Day Will... Make You Sick Of Apples, Probably! Let's Be Honest - I Hate Fruit! Is Water Your Best Friend? I believe that the key to a successful fat loss plan is consistency, particularly with the food you eat. If your food doesn’t taste good, chances are you’ll crave the other options that could sabotage your efforts. Fat loss is a marathon. It doesn’t happen overnight. You need to find a system that works for you personally, and it has to be something you can do over a period of time. The goal is to create a lifestyle change that is not temporary, but permanent. When you read a diet book that promises change but under extreme circumstances, you need to ask yourself whether or not you can do it long term. If not, you need to find something else. Most of your fat loss is going to happen outside of the gym. I would be so bold as to say that the majority of it is going to happen in the kitchen. Finding foods that are healthy and delicious is how you are going to execute this plan of yours successfully until your reach your goal, or better yet, eat healthy forever. One of my go-to healthy and delicious meals is oatmeal. When many people think of oatmeal their first thought is “boring.” That is why you need to spice it up a bit. Here’s my recipe to turn oatmeal from a boring meal into something you’ll want to eat every day. Pour the oats and water into a pot and bring to a boil. Once it’s boiling reduce heat to low and stir occasionally for 5 minutes. While this is happening slice your strawberries. 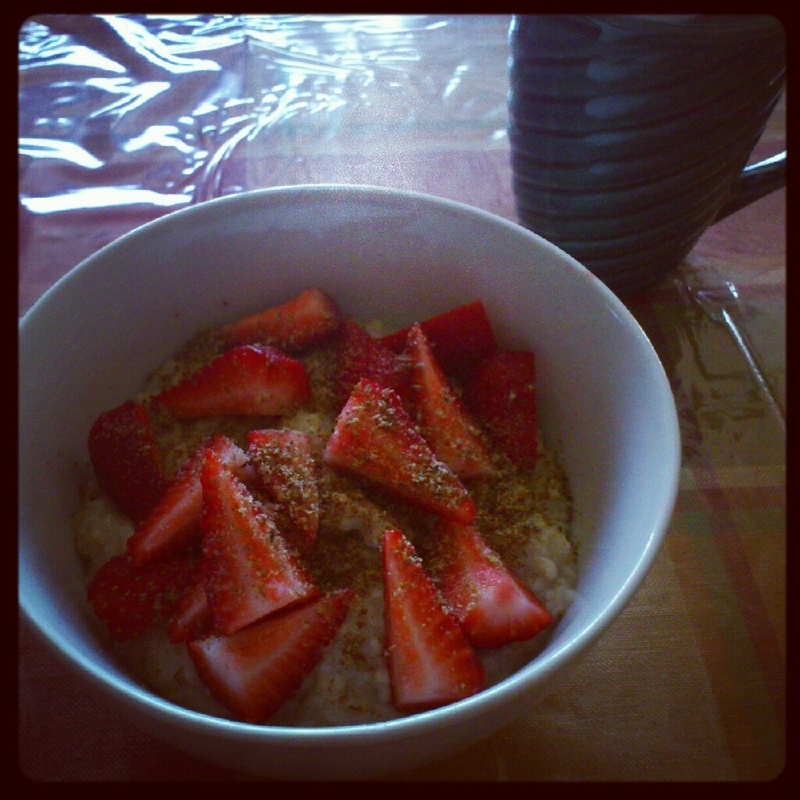 Once the oats are ready pour them into a bowl, sprinkle your cinnamon on top, and add the strawberries and almonds. It’s really that easy. You can honestly replace the strawberries for any berry, and the almonds for another nut. It’s up to you. Like I said, success is going to happen when you find a plan that works for you. The most anyone can do is make suggestions, and educate you on the foundation of building a food plan that is meant for fat loss. Let me know what you think of this recipe if you try it, or what changes you make to better suit you. Follow Shane on Twitter. 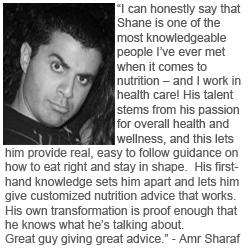 Like Shane on Facebook. If you enjoy this article and would like to receive other similar articles directly to your email inbox please make sure to subscribe to So Healthy Nutrition. 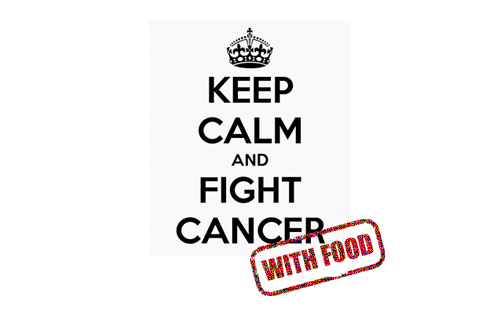 According to the American Institute for Cancer Research (AICR), although there is no food that will cure cancer, there are arrays of different foods that will help people who have been diagnosed battle cancer, as well as help protect people who don’t have the disease. Dr. William Li, director and president of the Angiogenesis Foundation, states that one in two men and one in three women in the United States will be diagnosed with cancer. Yet, with the right diet, you can take a big step in reducing your risks. According to MesotheliomaLawyerCenter.org eating the right foods is especially important to people who are at risk for developing cancer, whether it be due to exposure to toxic substances like asbestos, or from a history of cancer in your family. Apples: Apples contain a powerful phytochemical called quercetin, which is known for its cancer-fighting abilities, as well as several flavonoids and triterpenoids. Per the National Center for Biotechnology Information (NCBI), flavonoids contain anti-cancer mechanisms that help fight inflammation, metastasis, and more. Cherries: Cherries contain high amounts of cancer-fighting agents such as anthocyanins, as well as potassium, and Vitamin C.
Cranberries: Cranberries also contain high amounts of flavonoids, including flavonols, anthocyanins, and proanthocyanidins, all of which will help battle cancer and promote overall wellness. Grapes: Grapes contain high amounts of resveratrol, a potent phytochemical that fights inflammation, slows the growth of cancer cells, and hinders tumor growth in several body parts. Spices are typically used to add flavor to food, but several spices also have strong cancer fighting properties, such as antibacterial agents that help to ward off inflammation, infections, and poor health. Oregano: Oregano contains arrays of powerful antioxidant agents, including quercetin. As aforementioned, quercetin is a powerful cancer-fighting agent. One teaspoon oregano equals eating two cupfulls of grapes. Garlic: Research suggests that garlic helps fight a series of different types of cancers, including colon, prostate, and stomach cancer. Curcumin: According to the Journal of Nutritional Biochemistry, curcumin may be linked to preventing brain cancer. In addition, a 2008 Cancer Prevention Research study suggests that curcumin helps to stop breast cancer cell invasion and movability. Regardless of the type of cancer, eating the right foods is a powerful start in ensuring you’re doing your best to protect yourself. This information was provided by Kaitlin Wilson of MesotheliomaLawyerCenter.org. Her organization specializes in asbestos cancer legal issues and has state specific information for all 50 states, including states with high incidence of asbestos cancer such as California, Florida, and New York. Going to the gym and lifting weights isn’t for everybody. Some people simply don’t enjoy the monotonous workout routines because “it’s boring.” Others may actually feel intimidated by the atmosphere most gyms give off. If either scenario sounds like you please know that there are others in the same boat. The good news is that you can definitely stay in great shape without ever stepping foot in a gym. The idea for someone not wishing to gym is to find other activities that promote a healthy lifestyle. If you like working out but just not in front of a lot of people then you can do resistance training at home. Buying yourself a pair of dumbbells and a decent weight range is all you really need to cover your whole body. If you straight up despise resistance training altogether then a great idea is to play a sport. There are several sports that can keep you in tip top shape all by just having some fun. On top of that, sports are a great way to get some cardiovascular exercise that most resistance trainers don’t get enough of. 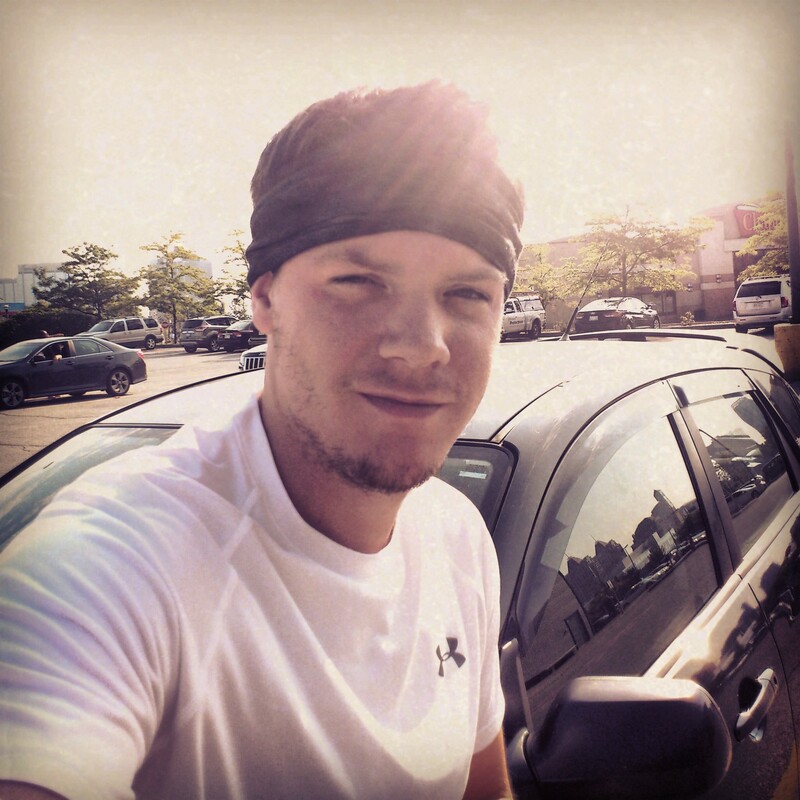 I do resistance training at a gym 3 times per week but now am trying to make a personal goal of adding more activities outside the gym on top of my current workout. I plan to do sprints, ride my bike, and having recently joined a softball team, get some sports into my week to help work on my cardio. Try to aim for 3 days per week where you do some sort of fun physical activities. They can be anything from kayaking, rock climbing, soccer, bike riding, or even something as simple as jogging. Whatever you find fun will entice you to do it more often and in the long run you will reap more benefits than always doing something you don’t necessarily enjoy, like going to the gym religiously. What do you do to keep you in shape? The So Healthy Nutrition website focuses on topics of nutrition, wellness, and physical fitness. Please keep in mind that the information provided is strictly informative and should not be favoured over the advice of a healthcare professional. Furthermore, several topics discussed on this website are generalized and may not take into consideration personal medical conditions resulting in potentially unsafe information. Want to be So Healthy? Interesting, intelligent, and straight-up awesome articles delivered directly to your email inbox.